As the saying goes: you can’t give what you don’t have. In order to have the energy, well-being, and strength to be able to care for others, caregiver health must be a top priority. Busy, professional caregivers don’t necessarily have to take a sabbatical or plan an enormous trip to get refreshed though. The Mentor area offers a variety of activities you can enjoy on a regular basis or as a special treat to boost your mood and health. For regular fun, consider joining one of Mentor’s sports leagues or signing up for one of the Mentor Recreation Department’s classes, programs, or workshops. You could learn to skate, paint, play golf, and so much more. A little pampering goes a long way. Check out one of Mentor’s top rated day spas and get your nails dressed up, your hair done, or your skin cared for. You’ll be taking care of yourself physically and emotionally, which is definitely a healthy choice. Health isn’t a one-time choice. In order to really take good care of yourself get involved in a wellness program. This is important so that you can be healthy for those entrusted to your care. Mentor is home to a variety of gyms and wellness programs. You can work on weight loss, strength training, nutrition, or more. Also, be on the lookout for a new and exciting wellness option in January 2018. The Mentor Wellness Campus, operated by the Lake Health Wellness Institute, is going to be a center for self-care. New recreational facilities like a rock-climbing wall, pools, and even a sauna will be housed there right alongside wellness classes and medical providers like physiologists and occupational health therapists. Mentor also offers a Senior Center that features a library, billiards room, computer room, fitness center and an arts and crafts room. Eating out with your family or friends can make for great memories and relaxation time. Mentor is home to a variety of ethnic and American restaurants. You can easily find top-rated restaurants that offer special dietary options like gluten-free foods as well. Called a “shopper’s paradise,” Mentor is a great place to browse. Whether you love farmers markets, antiques, or traditional malls, Mentor has many options. Get lost window shopping or searching for a specific treasure. Bring a friend to make it even more refreshing! The people in your care know that having someone like you there for support is important. They want and need you to be healthy so you can continue doing what you do. Make health a habit by getting involved in a regular activity in Mentor, Ohio or make a habit out of taking “me-time” locally once a month or so. 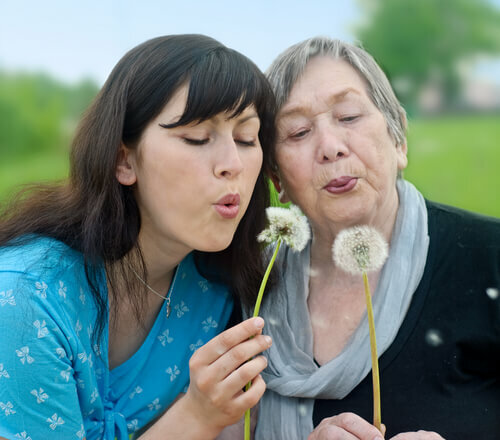 Learn more about what caregiving takes and how to provide care well.